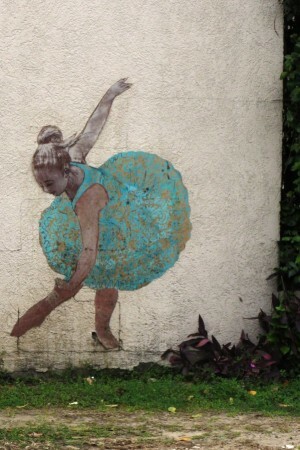 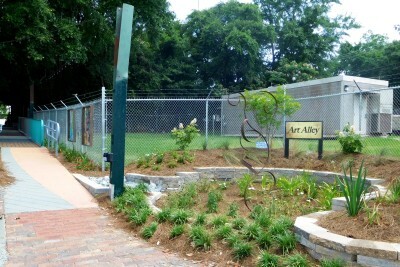 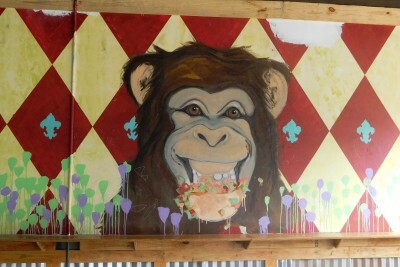 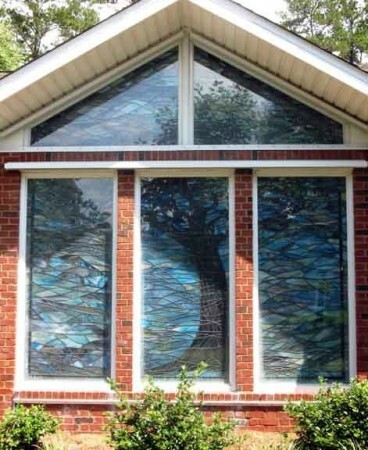 ABOUT OUR OUTDOOR PUBLIC ART DIRECTORY: Outdoor art abounds in Tallahassee! 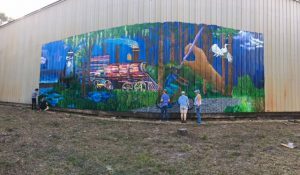 This guide offers a view of the iconic, historic, and quirky works of art that enhance Tallahassee’s natural beauty. 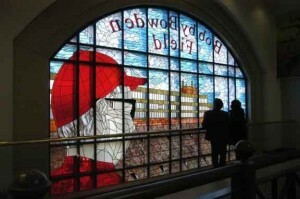 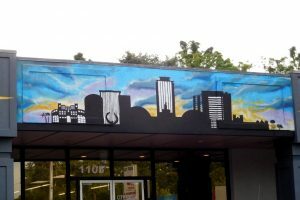 It includes more than 200 public artworks from city, county and state/university collections as well as corporate and community artworks. 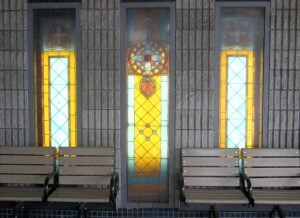 These outdoor sculptures, murals, windows, monuments and memorials can be viewed from the street, sidewalk or other public locations. 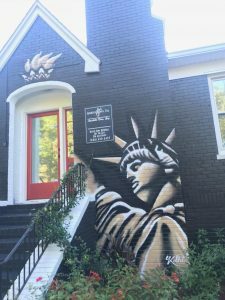 Look through the photo gallery below, or visit our Outdoor Public Art Map to find out what’s near you. 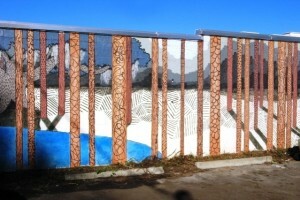 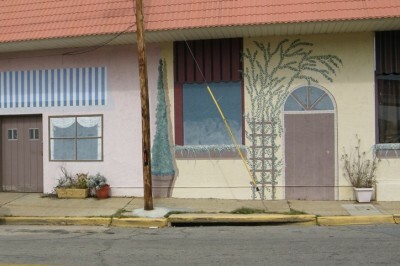 You can even get up close and personal with COCA’s Downtown Public Art Walk and All Saints Public Art Walk. 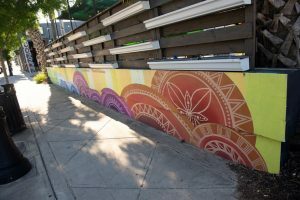 These are self-guided tours that promote a healthy lifestyle and offer residents and visitors the opportunity to experience and appreciate our outdoor public art. 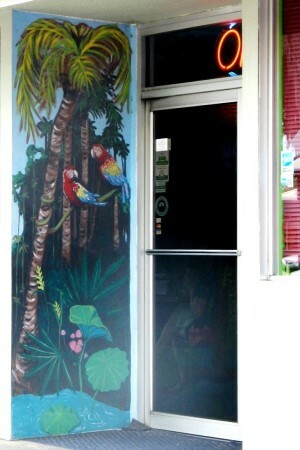 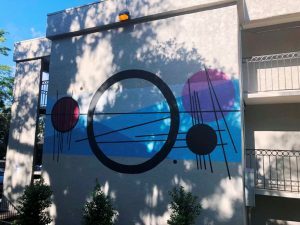 By various community artists, artwork changes periodically 452 All Saints St. and St. Michaels St.
Mural by Kollet Probst (September 2018) Located at 521 North Adams Street – Annabelle Dias P.A. 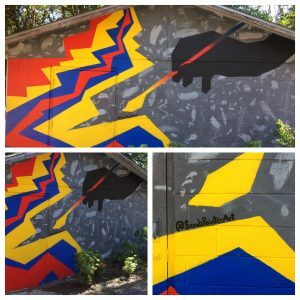 Community Art Installation Space (includes murals, sculptures, and other pieces by various artists) Off Gaines Street between Railroad Ave. & S. Macomb St. Art Alley connects Gaines St. to Saint Francis St.
FSU Department of Art Education’s Fall 2017 Community Mural Project Created by Jordyn Dooley, FSU Department of Art Education students, staff, faculty, alumni, and members of the Tallahassee community This is the 7th mural the Department has completed in Tallahassee. 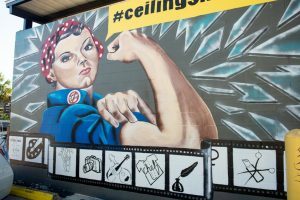 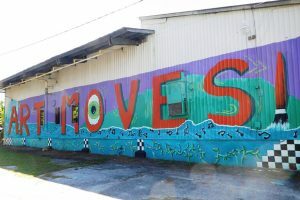 Called “Tallahassee on the Move,” the mural design was inspired by the transition from the past to present day of the Tallahassee area where the local business AMWAT was built, which has now become a major moving enterprise. 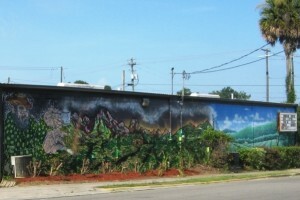 Tallahassee has a significant historical past that can be appreciated in the painting from left to right. 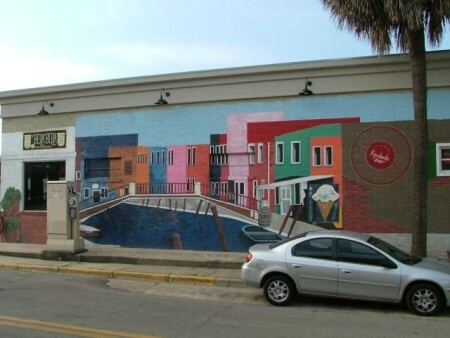 Starting on the left side of the painting, a lighthouse represents the beginning of the Spanish settlement at St. Marks, which then transitioned to a hub of industry and became home to the first railway in Florida. 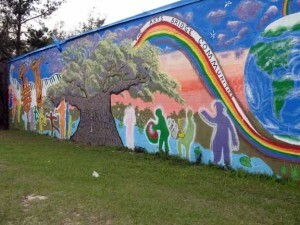 On the right side of the painting, a cyclist represents how Tallahassee is riding into the future. 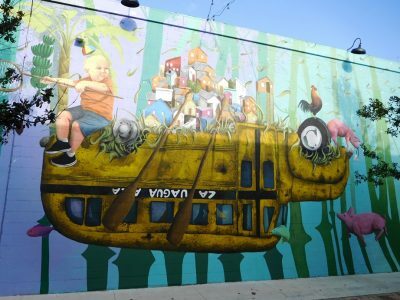 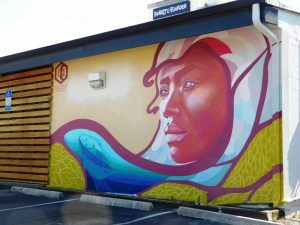 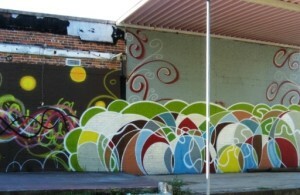 artwork by David Zayas, Peter Koenig, and Kellie Martin Coordinated by Street Art Tallahassee and Chiara Saldivar. 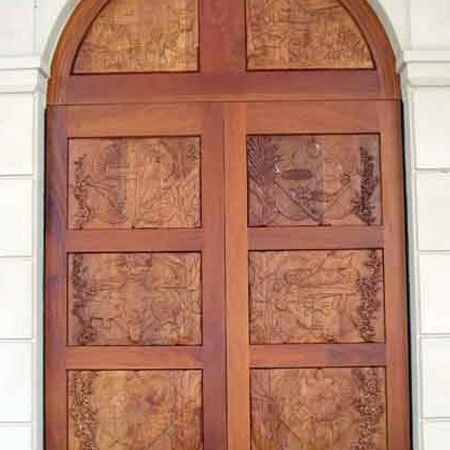 by Erick Villanueva Honduran Mahogany Mission San Luis Visitor Center For more information, download this document.